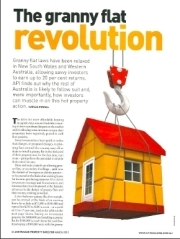 Australian Property Investor magazine has published a feature article (March 2012 issue) that says granny flats can allow “savvy investors to earn up to 20 per cent returns” on their investment. This is certainly what property owners building Granny Flats into back yards in Port Hedland, Western Australia are hoping for. Other shires in the Pilbara are expected to follow Port Hedland Shire’s lead and approve ancilary accommodation in the near future. 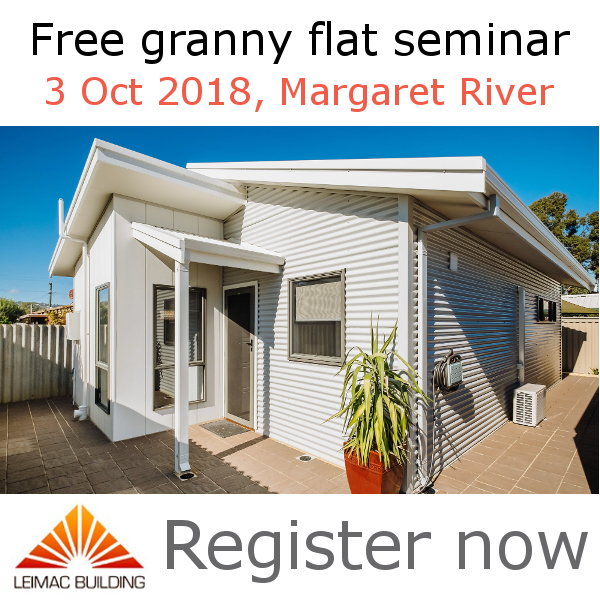 Phone Leimac Building on 08 97 555 900 to be put on the wait for one of the first available granny flats once your Shire give the go-ahead for your town or city. Leimac Building can assist you with a full-service breakdown, from designing a flat to suit your block, Shire approvals, stylish selections for furnishings and finishings, and seamless estimating and scheduling procedures. Click here to download and read the full article that featured in Australian Property Magazine. The above reference to cash-flow scenarios is an example of potential outcomes and is not intended as specific personal advice. Yields will vary depending on specific property, location, market conditions and marginal tax rates of owners. Prior to you making any decisions, you should seek professional and personal credit and taxation advice to be sure that any engagement or strategy is appropriate for your personal circumstances.